HA NOI – Grammy Award-winning saxophonist Kenny G will perform in Ha Noi as part of his Asia tour from October 10-19. His pieces, such as Going Home, Forever in Love, Havana and many more, riding the popularity wave for 30 years now, will charm the local audiences. 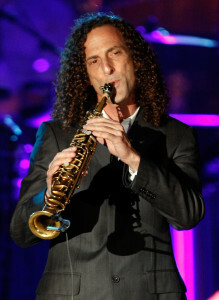 Kenny G will play pieces from his latest album, Brazilian Nights, launched in February. "The Live In Concert will be distinctive because Kenny G will be accompanied by his live band and their instruments," said an organisation representative at a press conference held in Ha Noi today. "Kenny G is one of the legendary instrumental artists of the world. He is the founder of smooth jazz, and has made the Chinese folklore piece, Jasmine Flower, to become widely popular." Kenny G and his live band, including Robert Jerone Damper on piano/keyboards; John Ventor Raymond with his guitar; Vail Johnson on bass; Daniel Bejarano on drums and Ronald Bernard Powell on percussion will arrive in Ha Noi on October 12. His Asian tour will begin from South Korea on October 10 &11, following which he will be in Singapore on October 14, in Malaysia on October 17 and in India on October 19. In a recording career spanning almost three decades and 23 albums, Grammy Award-winning saxophonist Kenny G has grafted elements of R&B, pop and Latin on to a jazz foundation, cementing his reputation as the premier artist in contemporary jazz. Since the early '80s, the unique way in which he has been combining instrumental chops with indelible melodies has led to sales of more than 75 million records worldwide, and more than a dozen climbs to the top of the Billboard's contemporary jazz chart.